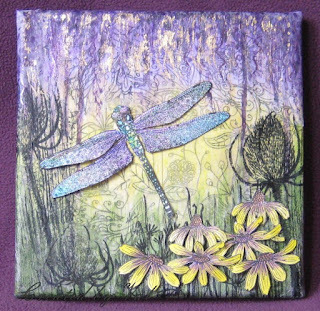 Five crafty friends met up yesterday with Janie for a mixed media workshop which was so enjoyable and we had a wonderful selection of inks, paints, stamps and so on all to hand from which to choose. We all started off from scratch going through the basics of working on a canvas to build up a design before developing our own pieces. It was quite a full-on day but we mostly managed to more or less finish - in my case it just needed a few additions this morning such as the scattering of daisies which all needed cutting out and I also added a few finishing touches and some gilding. Most of the stamps used on my piece were drawn by Janie. I already have ideas buzzing around in my head for another piece in probably a different colour scheme. what a very stunning creation and your design is beautifully created. 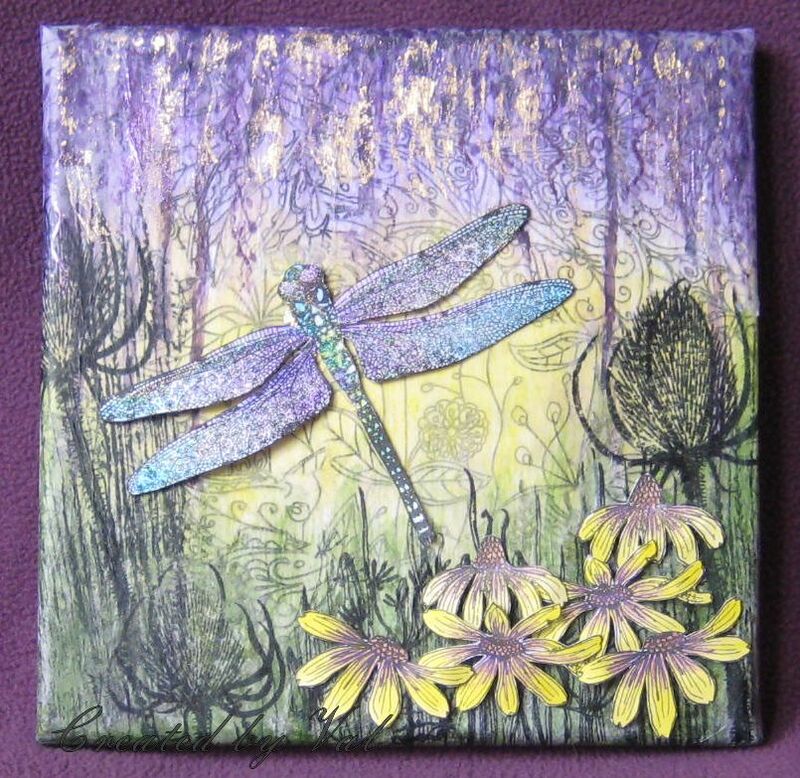 Love the wonderful Dragonfly and the colours are super. What a fantastic canvas Val, I bet it looks great on the wall.